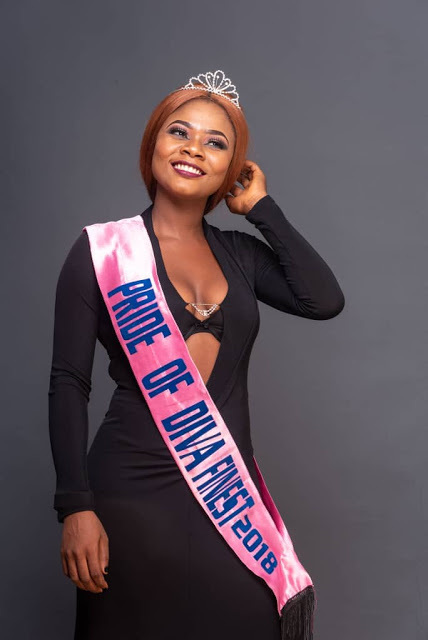 AYAYA GIST: Interview with Fashion Model and Pride of Miss VIP DIVA Queen Timi Noah in Stunning Photos @Ebi_Katte #BeHeardBeSeen - AYAYAMEDIA - Be Heard Be Seen ! From being an home model to the Pride of Miss VIP Diva (Ankara Challenge Winner) to the Face of 1904vibz.com and currently a model to JTW Studios. In this exclusive interview Queen Timi Noah talks about her life in being a model and her next move in the forth coming year. Queen Timi: My names is Ebimotimi Goodnews Noah. 2) Where are you from and D.O.B? Queen Timi: Am from Bayelsa State, Nigeria, The southern Ijaw to be precise. I was born on the 7th of April 1998. 3) What made you first become a model? Queen Timi: To be sincere, have always had this self-crush and when I see girls who are models I get feeling that yes, baby girl if they can do it you can do it and so I set that standard for myself that no matter I'll be a model someday. 4)How did you feel when you did your first ever fashion show or photo shoot? Queen Timi: I was nervous, scared at the same time happy because at long last I get to do something I have always dreamt and see myself doing. 5)Who was your role model as a child an how did that help in being a model? Queen Timi: I didn't' really have a role model in modeling but in music and Celine Dion is my role model. What made me love modelling was the runway shows I do watch on t.v, plus I had a sister who loves modeling and loved Kendal Jenner so much so looked up to her to an extent. 6)What did your parent first think of you being a model and where they supportive? Queen Timi: My parents don't know am into modeling, all they want is for me to graduate with good grades. So they haven't been supportive in anyway. 8)If your were not a model, what other profession would you have been doing instead? Queen Timi: Am an aspiring lawyer, but I am so much in love with music so if I don't get to be model, music is the next thing on my mind because I believe I have got the voice an d the talent of dancing. 9) How has it been so far since you became the winner of Ankara Rocks challenge and one of the runner ups of the just concluded Miss VIP Diva Pageantry Show? Queen Timi: I can't say it has been challenging because am hoping for the best and standing firm to go through the everything be it good or bad. 13) Are you in a Relationship? 14) What should we be expecting from Queen Timi in the coming year? Queen Timi: I would urge you to believe in me and if we work and corporate together, we will take things to another level making it bigger and better.